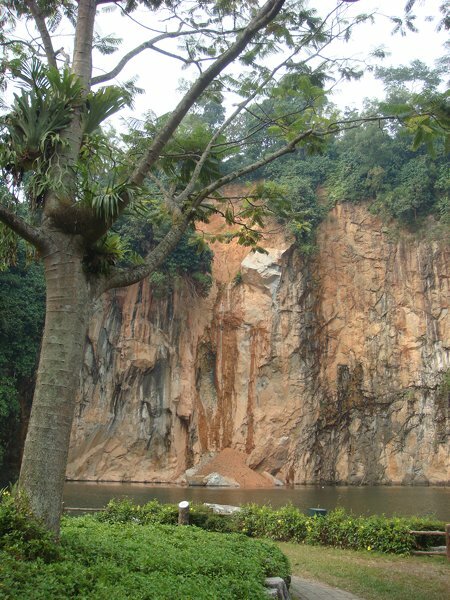 Bukit Batok means the Caughing Hill in malay, without a doubt this is to be explained with the marble quarries that used to spread the stone dust all over the area in ancient times. 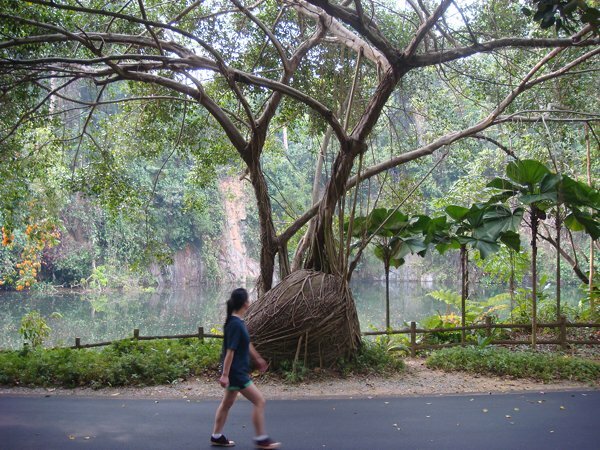 The Nature Reserve is a 36 ha big public park situated along Bukit Batok East Ave 2. 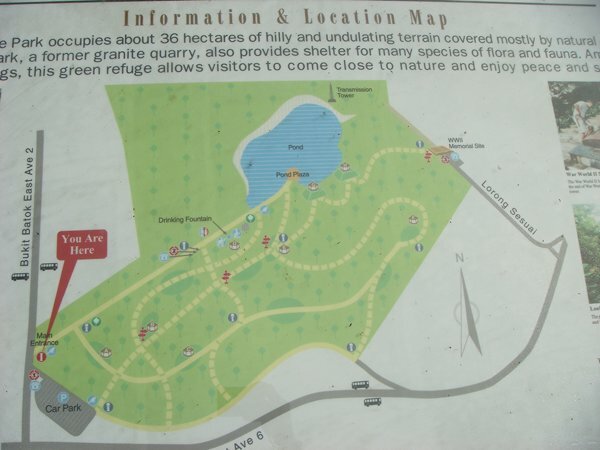 It was developed on an abandoned quarry site and has a deep pond at the foot of a high cliff. It has a number of footpaths meandering all across the area; as well as several lookout points on the top of the cliff. Especially in the morning it is very common to observe all sorts of birds, squirrels and free ranging monkeys (yes you know, don’t feed them!). 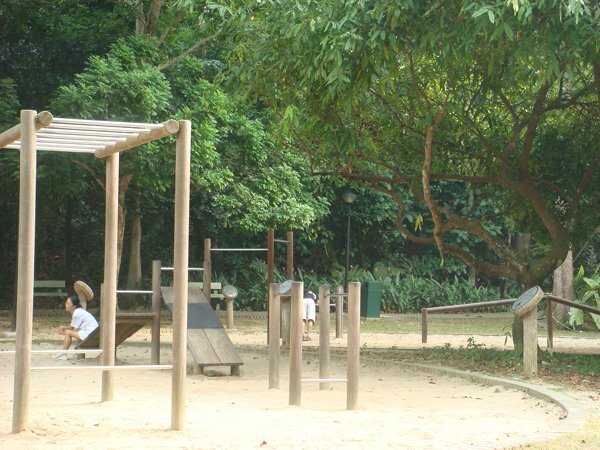 The park has also a fitness station as well as the usual infrastructure. Escape to a true nature place for a walk or a jog in the morning. You will be surprised how frequented a park can be at 7 in the morning on a Sunday. Rhytmic gymnastics, tai chi, and sometimes even martial arts are also practiced in the park. By public transport: The nearest MRT station is Bukit Batok, though from there you’d have to take a bus, for instance the 168. You could also leave from Bukit Gombak MRT. By car: Search for the free parking lot just at the entrance, at Butik Batok East Ave 2. 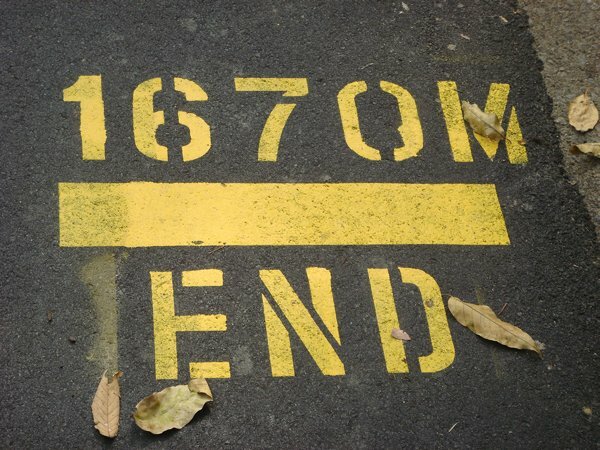 The track: There is a track with distance markings; believing them, the overall distance is 1670m. However you can choose your own track. Especially, the run up to the lookup points on top of the cliff or to the World War Memorial still high can be a demanding exercise for those who don’t have enough yet. Start near the park entrance and turn immediately right on the asphalted track. 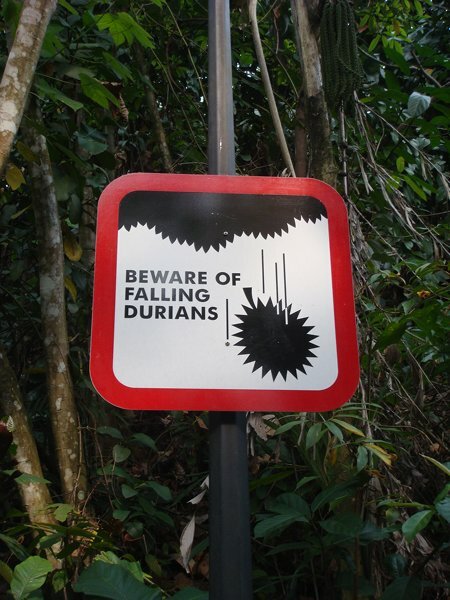 Continue straight until the track disappears at the entrance of the jungle, and continue on a narrow path. This section is the most difficult - it goes up and down. Passing a small place with a shelter turn right and join the main path leading to the quarry pond. After having passed the fitness station, you will find yourself at the starting point of the park. Only 8 minutes huh? Just do it again. And keep the run to the World War Memorial for the end (look at the map how to go there). Water point: There is a water fountain near the fitness station and the restrooms. Good to know: After your run you can make use of the very complete fitness station. 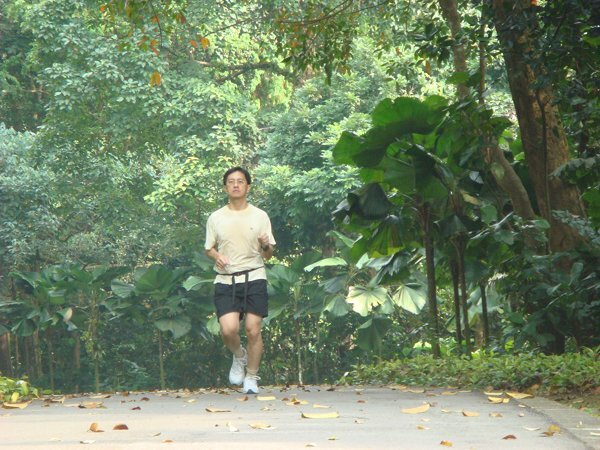 Or for a long distance run you can cross over to the Bukit Timah Nature Reserve beeing only 1km away from here. 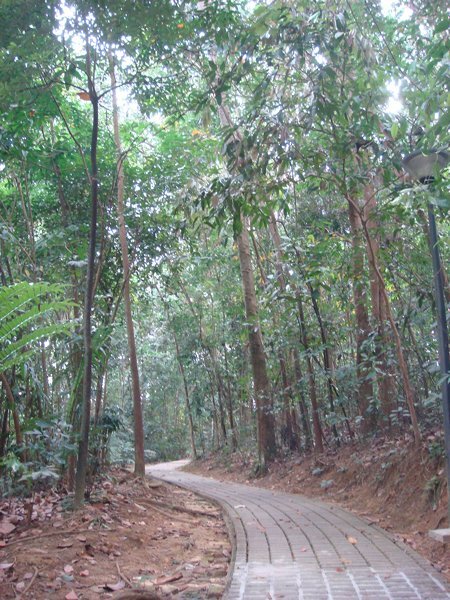 Google Maps: Bukit Batok Nature Park on Google Maps.